Who is on the list of players? What is the set of strategies available to each player? What are the payoffs associated with any strategy? Will the Garden get planted? Will the garden get planted? Is there more than one solution to this game? Why not? In the news recently there was an article about the desperate measures being taken by New Zealand Sheep farmers. 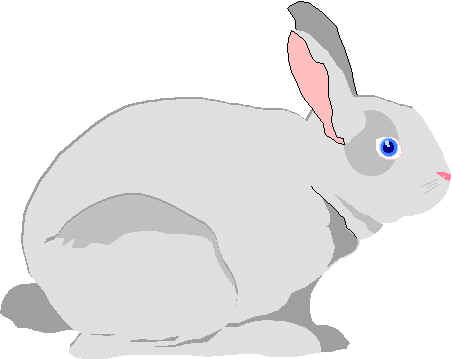 Rabbits were introduced into New Zealand a couple of hundred years ago. Unfortunately, rabbits have no natural predators in that country and so have multiplied like, well, rabbits. The wascally wabbits are destroying grazing land at an alarming rate. The consequence is that the rabbit population has reached the point that more than 5% of the cost of raising a sheep goes to controlling rabbits. One farmer in this war is Al Paca. He has four sections of land on which he runs sheep. He can afford to treat two of them with a special poison toxic to rabbits but not to his sheep, dogs and other wildlife. Nothing is gained by applying the toxin to a tract not under assault by the rabbits. Al knows that Benjamin Bunny, the clan leader, will only lead his followers onto a single tract of land. Benjamin is a thinking man's rabbit and knows that Al spreads the toxin on only two of the four sections of land. If Benjamin leads his clan onto a section treated by the toxin then his clan is wiped out, and Al is victorious. If Benjamin leads his clan to a field with no toxin then they all live to munch another day and Al has wasted his money. Suppose Al treats sections A and B, and Benjamin leads his fluffy tailed friends onto A. The rabbit population is eliminated, resulting in a utility of -1 for Benjamin's bunnies; Al's payoff is two. What accounts for the lack of a dominant strategy for either Benjamin or Al? Suppose that the plots have different values to Al. Is it possible to change the payoffs to reflect this? Will the game now have a dominant strategy solution?